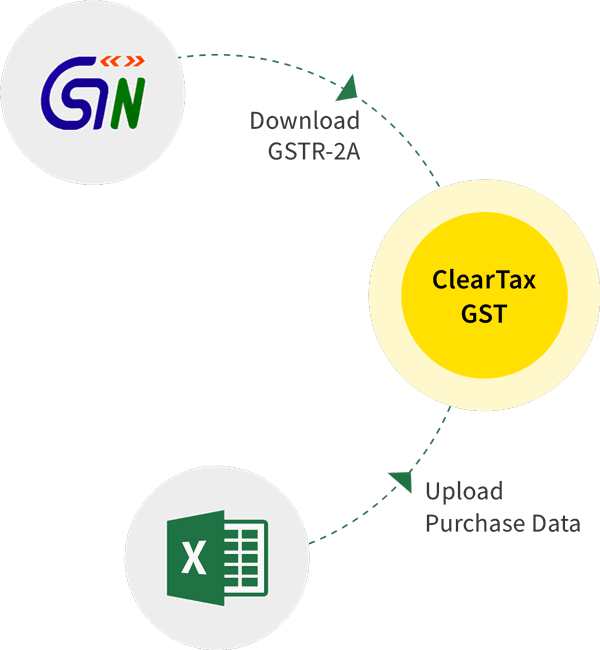 How to register on the Eway bill portal under GST? 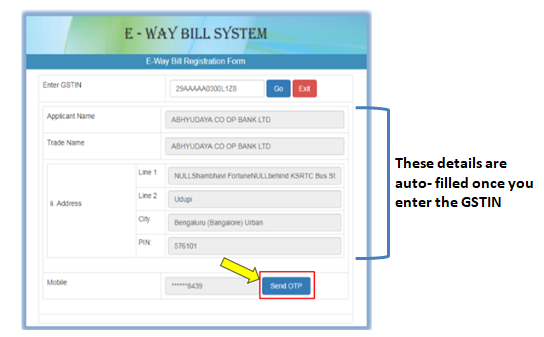 How to Register on eWay Bill Portal ? 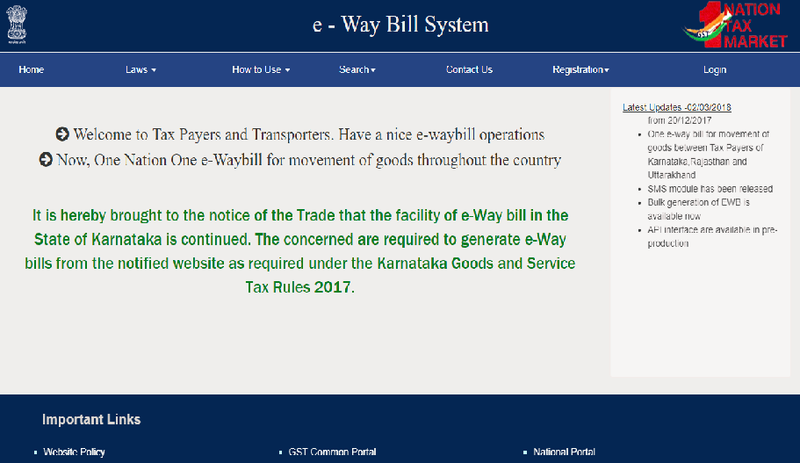 Registration on the e-way bill portal is compulsory to generate the e-Way Bills. Step-1: Visit the e-Way Bill portal. Note: Close the login pop-up if it appears on visiting the portal. After checking the auto-filled details, Click on ‘Send OTP’ button. Enter the OTP received on the registered mobile number and verify the same by clicking on the ‘verify OTP’ button. Enter the new User ID and set a password of your choice. The system validates and pops up a message if there is an error in the details entered by you. When is e-Way Bill registration required for unregistered transporters? Even if a transporter is unregistered, but the value of goods exceeds the above limit, the transporter has to generate e-Way Bills. Since he will not have a GSTIN, the concept of Transporter ID had been introduced. Every unregistered transporter will be issued a Transporter ID, they will have to mention this ID on every e-Way Bill in place of GSTIN. The Step-by-Step process to enrol on EWB portal has been explained in our article on Compliance with e-Way Bills by transporters. By doing enrolment on e-Way Bill portal, the transporter gets a unique Transporter ID and a unique Username to operate on the e-Way Bill portal. When goods are received from an unregistered supplier by a registered receiver, the receiver of goods has to comply to all the procedures of generating an e-Way Bill as if he is the actual supplier of those goods. Hence, the receiver will have to generate an e-Way Bill. c) Keep your Username and Password securely. Henceforth, Use these credentials to logging into the e-way bill portal. 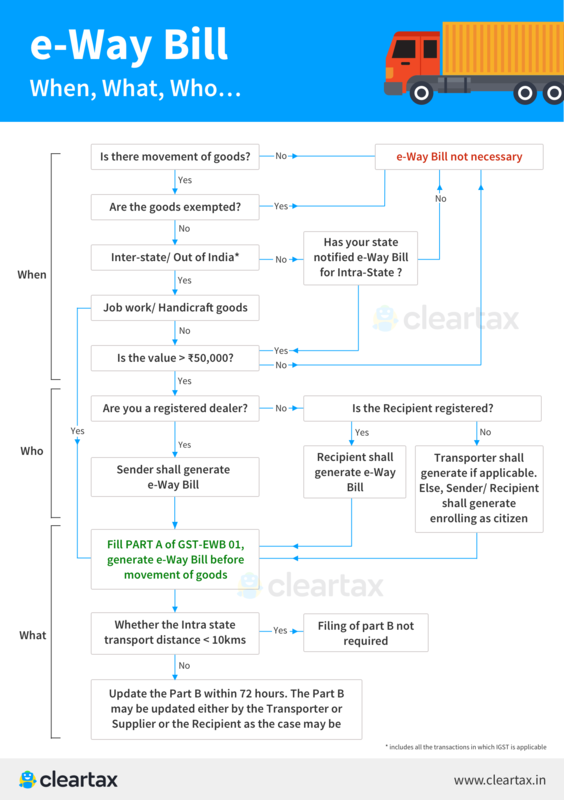 How to generate e-way bill on Website? e-Way Bills: How to use SMS facility to generate/modify/cancel e-way bills? All about generating Consolidated e-Way Bills on Website?